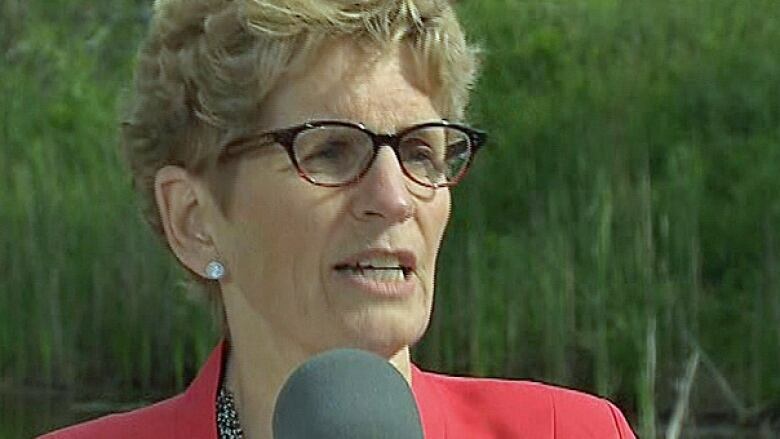 Kathleen Wynne is promising to "get to the bottom" of the latest allegations of a hidden pile of mercury barrels poisoning a northern Ontario river, but the chief of Grassy Narrows says her efforts don't go far enough. Kathleen Wynne is promising to "get to the bottom" of allegations there's a hidden pile of mercury barrels poisoning a northern Ontario river, but the chief of Grassy Narrows says her efforts don't go far enough. The Ontario Premier is dispatching two cabinet ministers and some government scientists to the First Nation, north of Kenora, Ont., on Monday. The promised visit comes after a former worker at the Dryden, Ont., paper mill revealed he was involved with dumping drums of toxic chemicals into a plastic-lined pit upstream of Grassy Narrows, decades ago. "There's engagement right now to try to discern what this alleged source is," Wynne told reporters on Tuesday. "I don't have all that information. I want to get to the bottom of it." Grassy Narrows Chief Simon Fobister, left, and Judy Da Silva speak to media Tuesday morning about community healthy concerns. A letter from a former Dryden, Ont., paper mill worker published Monday reveals details of a mercury dump site from the 1970s that Fobister worries is contributing to ongoing mercury poisoning in the area. (Cameron MacIntosh/CBC)Reed Paper's chemical plant in Dryden was a source of mercury contamination in the 1960s and '70s. Chemical leaching from the plant has been well documented and continues to cause public and environmental health concerns. 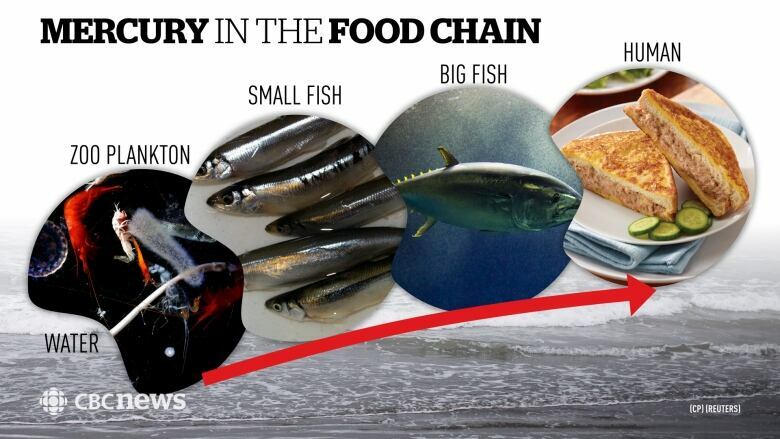 In a report released in May, environmental scientists determined that current mercury levels in the waters around where people in Grassy Narrows catch fish to eat suggest there is an unknown source of mercury contributing to the problem. Leaders in the First Nation say they are tired of "fancy talk" from government officials and are asking instead for access to the mill site in Dryden to investigate the former worker's claim there is a hidden mercury dump. "We don't want any more visitations, like public visitations, we want action," said Chief Simon Fobister at a news conference in Winnipeg on Tuesday. The environmental health coordinator at Grassy Narrows said time is running out to clean up the mercury that continues to poison people in the community. Many of the fishermen and trappers who first demanded a mercury clean up decades ago are now dead, Judy DaSilva said. "So like for me it's like there is no more time," she said. "And I worry that someday I'll die" before the fight to have the contamination cleaned up is won. Glen Murray, Ontario's Minister of Environment and Climate Change and David Zimmer, Minister of Indigenous Relations and Reconciliation are expected to travel to Grassy Narrows on Monday.